But if it’s released around the same time as ADM, then hell yeah musical overload!!! my preorder of ADM says it's slated to be shipped "approx end of May." 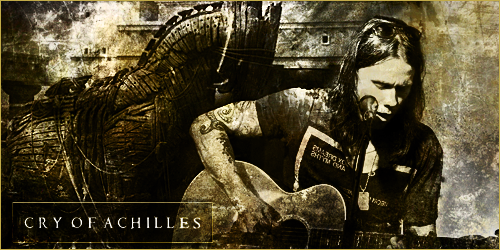 OK, so now we witnessed Myles Kennedy dropping his long awaited solo-album and we're all in the middle digesting the the superb ADM-album. So probably from now on it's really time for the build-up of the hype for the RAH-material. I personally hope it will not only be a DVD/BRD, and there will be also an Earbook, vinyl (box like O2) and CD available ! At first it was announced to be ready for last X-mas, but that was just too ambitious. Wasn't it told later on that they were aiming for a summer-release ? I guess lots of fans are waiting desperately for this one ! I can't believe that we're about 1 year away from new AB music again (assuming their single drops sometime in the summer). Feels like TLH dropped yesterday. Need more Blackbird/Fortress stuff. TLH is still a bit of a clunker to me minus 4 songs. I'd like to buy the Blu-Ray of the show now, please. Love this thread coming back to hype. Source I can not kention, beceause I don’t know if he was allowed to tell me and I love beiing kept informed about future projects. It’s a trustworthy source without any doubt. It’s about time we were gonna hear something about this ! It was postponed from last Xmas to the upcoming summer as I remember. So bring it on. Would love a nice Earbook from this one ! So excited for this release! Also, it is crazy we can be expecting to hear new AB next summer. Time sure does fly by. Hopefully their next album is much better along with better mixing/production. I wonder if they hear/feel that the TLH was overall their weakest album with just too much loudness in the mix. I would much rather have them take their time writing the next album since it seems like they kind of squeeze out writing times for the new albums. They spent almost a whole year on Blackbird and that is seemingly their best album. Love the ADM sound. Clean, clear, crisp to my ear. Would be great if they trended in that direction. As for RAH, BRING IT ON! JGremore wrote: So excited for this release! Also, it is crazy we can be expecting to hear new AB next summer. Time sure does fly by. Hopefully their next album is much better along with better mixing/production. I wonder if they hear/feel that the TLH was overall their weakest album with just too much loudness in the mix. I would much rather have them take their time writing the next album since it seems like they kind of squeeze out writing times for the new albums. They spent almost a whole year on Blackbird and that is seemingly their best album. Blackbird is not my favorite mix of theirs either, but it's more than just the mixing for me. It is the arrangement, layers, and amp presets. If they went for a more simplistic sound to their songs, that would certainly go a long way toward sounding better. The shrill mix is just another part of it. A song like You Will Be Remembered has way too many things going on where there shouldn't be. It could have been a classic layout and really feel more honorary than having them say: "Hey guys, listen! Listen! LISTEN! AAAAHHH!!!" That's what the whole album felt like. It was appreciated on some songs (specifically The Last Hero, which I have almost no complaints about as a song), but when the rest of the album has that kind of adrenaline pouring through it... you get the picture. Hopefully when they released songs like Breathe and Solace, they heard something that was different on the auditory front from where they are now. If they prefer the sound of their concept album, I guess we can't stop them. But as a listener, I do not love my favorite band unconditionally. I'm just fearing a slippery slope is all. Perhaps too much Tremonti influence. Can't we just go ahead and get hyped for the Royal Albert Hall DVD in this thread rather than bagging the sound quality of The Last Hero album in this thread? anguyen92 wrote: Can't we just go ahead and get hyped for the Royal Albert Hall DVD in this thread rather than bagging the sound quality of The Last Hero album in this thread? Sure. Got any news for it? Oh, and Blu-ray plz. Or UHD. DVD is far too obsolete for a concert-going experience, both video and audio alike. Sadly, nope. Someone did mention that AB's Instagram page made a post that stated #RAH. An announcement must be imminent!!!!! I meant blackbird was their best album overall IMO and I agree Fortress is the best mixed, at least to me. However, I am eagerly awaiting news on the RAH dvd. Will definitely get a blu-ray copy. From what I could tell from the few videos I watched, Myles sounded really good both nights. I am curious to see how well we will be able to hear the orchestra in the mix as well! The August issue of Classic Rock magazine has an interview with Mark (Thank You, Torsten! ) where he says the RAH video will be out in "autumn". Alter Bridge’s orchestral shows at the Royal Albert Hall last year were quite something. The second night was probably the best time I’ve ever had on stage. The first night was great, but there was lots of pressure. It was a different format and we were being filmed, and those were very long sets. All it needed was for one thing to go wrong and that was it – disaster. But the second night we had everything nailed and things went like clockwork. When might those recordings be released? In the autumn. It’s a matter of releasing it far enough away from the next studio record. We’ve already approved the edits and video comps, and the cover art is being prepared.